Providing protective equipment for police officers across the continent could soon become law as an investigation into why officers are not included in existing European regulations gets the green light. EuroCOP President Angels Bosch has been lobbying the European Parliament to further its petition to improve working conditions for officers across the continent. And now the Chair of the Petitions Committee has agreed that an investigation by the European Agency for Occupational Safety and Health into how and why police officers are often left out of safety and health regulations should take place. It will put a special emphasis on individual protection such as providing officers with bullet proof vests and anti-cut gloves, items which officers in some member states don’t have access to. Not including police officers in European Social and Labour regulations will lead to ‘officer deaths on the streets’ Angels warned. The EuroCOP petition calls for officers to be included in rights for workers without discrimination, meaning they would have the right to protest their working conditions with a right to strike and the right to receive proper health and safety protection at work in every member state. And Angels wants to ensure any European Parliament agreed laws are implemented in all member states. She said: “European citizens expect us all to be recognised as ‘equal’, with the same rights and freedoms. “However, it is a fact that some aspects of the European Directives leave a considerable margin so that they are not transposed uniformly into national laws and regulations. “This is serious when what is provoked is an important difference in the rights of some citizens. 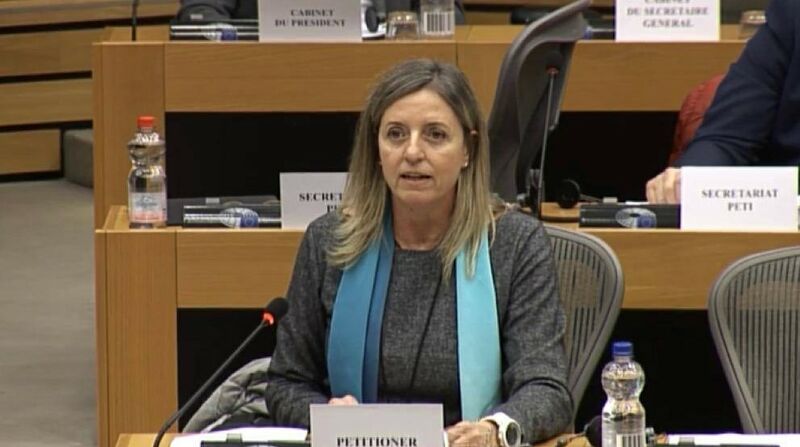 “While it is true that it is each country that must adapt the content of the Directives to their own regulations, it is not understandable that this adaptation deprives certain citizens of the recognised rights,” she added. “This is what we have seen in the recognition of the right to Occupational Health and Safety for the police, where the interpretation of Art. 2 of the Directive has led to legislation in a totally different manner by the member states,” she said. Other industry workers have been legislated for, including special regulations for workers at sea and for construction workers to wear a helmet or harness. The European Commission has not taken into account in the position paper that was sent to the members of the Petitions Committee that Directive 89/656 on minimum health and safety regulations for the use of personal protective equipment excludes the police. “Effectively, the police must run towards danger while citizens flee from it,” Angels added. “Police officers are committed to putting their lives at risk to protect those of our fellow citizens and we believe that for that reason we deserve, at least, a specific protection so that those risks that we assume are the minimum possible. “This means, for example, regulating indispensable personal protection equipment, and the training or the investigation of work accidents in order to apply corrective measures.